Sometimes it’s just good to stop, remember, and celebrate. 2012 was definitely a full year for Community Faith in Action and we would like to remember some of the things that happened this past year with you! Hannah Groth started working part time as an assistant with CFIA and she was able to just jump right into everything going on in Golden these days! Her main focus is communication between community members, whether that’s getting coffee or emailing information. She has really enjoyed getting to know the leaders and community members in Golden. We also really focused this past year on documenting and communicating the various relationships and projects that have added so much value to this organization. We were able to fine-tune our mission statement (To facilitate collaboration and partnership that unifies and supports sustainable change within community), communicate our vision and values we operate under, collect the past 3 years of financial information, combine this and so much more on our new website! We were also able to begin a partnership with an online giving site (GivingFirst.org, soon to be ColoradoGives.org) and also participate in Colorado Gives Day on December 4th. Another significant project we’d like to take time to celebrate is Neighborhood Rehab Project. This started 2 years ago as a one day project with lots of volunteers who had a passion to help their neighbors keep their homes safe, dry, and warm. This year we had over 140 volunteers who worked on over 30 homes and put in over 1,100 hours! We were able to raise about $8,150.00 from grants and private donations to go towards this project day. We developed a website, www.beatool.org to communicate this vision and passion. There was so much need, and so much interest in helping, that we decided we needed several on-going teams to participate in NRP workdays throughout the year! If you have any interest in giving a Saturday every couple of months to help keep residents in Golden safe, warm, and dry, check out our website! We also would like to celebrate our partners and good friends through the Together Church of Golden. The folks that we meet with to plan together, listen to one another, pray for each other have been such a huge part of the heart and soul behind Community Faith in Action. This past year, starting in March, every church prayed for the church designated for that month. This was such a valuable experience to partner with each other’s congregations weekly. This year we will be praying for our golden schools. One each month for all the churches to focus on. We are looking forward to a new project and partnership between Neighborhood Rehab Project and the Golden Rotary Club’s Golden Backpack Program! Every weekend during the school year the GBP provides food for 500-600 kids. In the past few years during the summers a free lunch has also been offered at a local elementary school, but an average of 90 kids came, which leaves around 500 kids that normally take food, without. With a release date of July 1, 2013, there will now be an alternative for those extra 500 kids: the Snack-N-Wagon! 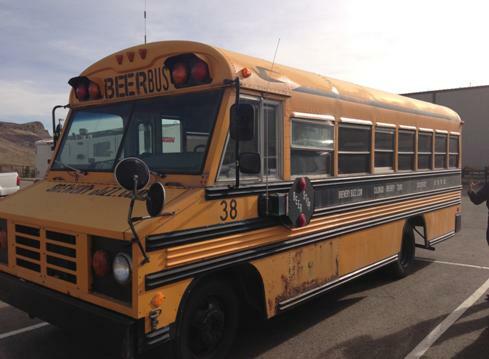 With a recent donation of an old brewery bus, there are now plans in action to rehab the bus into a mobile food pantry called the Snack-N-Wagon that will go to 2-3 sites each day, Monday-Friday, around lunch time in the summers and provide kids food in their own neighborhoods. There is still much to do regarding this new and exciting project, but we have a great start with lots of great minds thinking through the best ways to feed hungry kids in Golden! Well, those are just a few things that we want to celebrate with you!